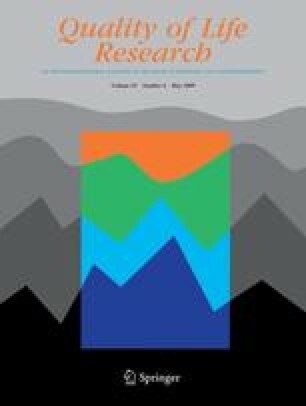 To examine the construct validity of the Health Utilities Index Mark 3 (HUI3) by exploring relationships among several well-recognized measures of mental health, the K6 and the Composite International Diagnostic Interview (CIDI), and the HUI3 in a large, nationally representative sample of community-dwelling subjects. Known-group comparisons were also included in the validation process. We specified a priori hypotheses about the expected degree of association between the measures. Correlation coefficients of <0.1 were defined as negligible, 0.1 to <0.3 as small, 0.3 to <0.5 as medium, and ≥0.5 as large. Data from the Statistics Canada National Population Health Survey (NPHS) Cycle 2 (1996/97) for respondents 20 years of age or older (n = 66,435) were used to test the a priori hypotheses. In 58.1% of cases, predictions of association were correct. Predictions were off by one category in 38.9% of cases and a priori predictions were off by two categories in 3.0% of cases. Our results provide evidence supporting the cross-sectional construct validity of the HUI3 emotion and HUI3 in a nationally representative sample of the community-dwelling population. The results also provide further evidence of the cross-sectional construct validity of the HUI3 in assessing population health. The research reported in this paper was supported by grants to Mark Kaplan from the National Institute on Aging (“Longitudinal Analysis of Health-Related Quality of Life in an Aging Population,” R21 AG027129-01) and the Retirement Research Foundation. The National Institute on Aging and the Retirement Research Foundation have neither reviewed nor approved the manuscript. The authors acknowledge the constructive comments provided by the anonymous referees. The authors thank Rochelle Garner of Statistics Canada for her assistance in accessing the data and Colette Koeune of Statistics Canada for the information on the social support scales used in the NPHS. The authors thank Martha Swain, Leslie Bienen, and Elizabeth Sheeley for their assistance in preparing the manuscript. It should be noted that David Feeny has a proprietary interest in Health Utilities Incorporated, Dundas, Ontario, Canada. HUInc. distributes copyrighted Health Utilities Index (HUI) materials and provides methodological advice on the use of the HUI. It should also be noted that HUInc. received no payments for the use of the Health Utilities Index Mark 3 in the study reported here. None of the other authors declare any conflict of interest.